Davis Patterson is a sociologist and a research assistant professor in the University of Washington Department of Family Medicine. He is Director of the Collaborative for Rural Primary care Research, Education, and Practice (Rural PREP), the Deputy Director of the WWAMI Rural Health Research Center and an investigator in the Center for Health Workforce Studies. He has more than two decades of experience in qualitative, quantitative, and mixed-methods research and evaluation in healthcare, human services, and education. Dr. Patterson's research seeks to inform policy and improve rural and underserved populations' access to healthcare, with particular attention to the primary care and allied health workforces, as well as innovative models, such as community paramedicine. He is an avid traveler and fluent in Spanish. Health workforce development, with a particular focus on the recruitment and retention of rural and underrepresented minority health professionals, healthcare access and disparities, healthcare and public health workforce supply and demand analysis, emergency medical services, and community paramedicine. What Impact Will Unified GME Accreditation Have on Rural-focused Physician Residencies? What Is the Potential of Community Paramedicine to Fill Rural Healthcare Gaps? Patterson DG, Skillman SM, Fordyce MA. Prehospital Emergency Medical Services Personnel in Rural Areas: Results from a Survey in Nine States. Final Report #149. Seattle, WA: WWAMI Rural Health Research Center, University of Washington, Aug 2015. Patterson DG, Schmitz D, Longenecker R, Squire D, Skillman SM. Graduate Medical Education Financing: Sustaining Medical Education in Rural Places. Seattle, WA: WWAMI Rural Health Research Center, University of Washington, May 2015. Patterson DG, Keppel G, Skillman SM, Berry B, Daniel C, Doescher MP. Recruitment of Non-U.S. Citizen Physicians to Rural and Underserved Areas through Conrad State 30 J-1 Visa Waiver Programs. Final Report #148. Seattle, WA: WWAMI Rural Health Research Center, University of Washington; Apr 2015. Skillman SM, Andrilla CHA, Patterson DG, Fenton SH, Ostergard SJ. Health information technology workforce needs of rural primary care practices. J Rural Health. 2015;31:58-66. Doescher MP, Lee C, Berke EM, Adachi-Mejia AM, Lee CK, Stewart O, Patterson DG, Hurvitz PM, Carlos HA, Duncan GE, Moudon AV. The built environment and utilitarian walking in small U.S. towns. Prev Med. Dec 2014;69:80-6. Patterson DG, Andrilla CHA, Skillman SM, Hanscom J. The Impact of Medicaid Primary Care Payment Increases in Washington State. 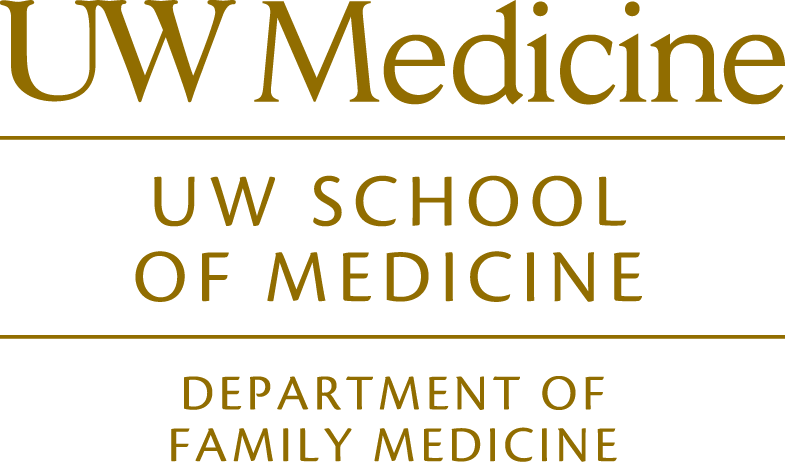 Seattle, WA: WWAMI Center for Health Workforce Studies, University of Washington, Dec 2014. Nudell N, Wingrove G, Patterson DG, Robinson-Montera A. Emergency Medical Services Data for Performance Measurement: Data Quality Assessment and Recommendations. Prepared for the Office of Emergency Medical Services, National Highway Traffic Safety Administration, U.S. Department of Transportation, Sep 2014. Skillman SM, Kaplan L, Andrilla CHA, Ostergard S., Patterson DG. Support for Rural Recruitment and Practice among U.S. Nurse Practitioner Education Programs. Policy Brief #147. Seattle, WA: WWAMI Rural Health Research Center, University of Washington, May 2014. Patterson DG, Lishner DM, Skillman SM, Doescher MP. The Rural Health Workforce: Data and Issues for Policymakers in Washington, Wyoming, Alaska, Montana, and Idaho. Policy Brief Series Issue #3: Building and Maintaining the Rural Health Workforce: Resources and Strategies. Seattle, WA: WWAMI Rural Health Research Center, University of Washington, Jul 2013. Fenton SH, Joost E, Gongora J, Patterson DG, Andrilla CHA, Skillman SM. Health Information Technology Employer Needs Survey: an assessment instrument for workforce planning. Educ Perspect Health Inform Inf Manage. 2013;Winter:1-36. Kovarik DN, Patterson DG, Cohen C, Sanders EA, Peterson KA, Porter SG, Chowning JT. Bioinformatics education in high school: implications for promoting science, technology, engineering, and mathematics careers. CBE Life Sci Educ, 2013;12:441-59. Greer S, Williams I, Valderrama AL, Bolton P, Patterson DG, Zhang Z. EMS medical direction and prehospital practices for acute cardiovascular events. Prehospital Emergency Care 2013;17(1):38-45. Patterson DG, Longenecker R, Schmitz D, Phillips RL Jr, Skillman SM, Doescher MP. Rural Residency Training for Family Medicine Physicians: Graduate Early-Career Outcomes, 2008-2012. Seattle, WA: WWAMI Rural Health Research Center, University of Washington; Jan 2013. Patterson DG, Skillman SM. A National Agenda for Community Paramedicine Research. Seattle, WA: WWAMI Rural Health Research Center, University of Washington; Feb 2013. Skillman SM, Keppel GA, Patterson DG, Doescher MP. The Contributions of Community Colleges to the Education of Allied Health Professionals in Rural Areas of the United States. Final Report #136. Seattle, WA: WWAMI Rural Health Research Center, University of Washington; Oct 2012. Williams I, Valderrama AL, Bolton P, Greek A, Greer S, Patterson DG, Zhang Z. Factors associated with emergency medical services scope of practice for acute cardiovascular events. Prehospital Emergency Care 2012;16:189-197. Patterson DG, Longenecker R, Schmitz D, Skillman SM, Doescher MP. Policy Brief: Training Physicians for Rural Practice: Capitalizing on Local Expertise to Strengthen Rural Primary Care. Seattle, WA: WWAMI Rural Health Research Center, University of Washington; Jan 2011. Skillman SM, Andrilla CHA, Patterson DG, Tieman L, Doescher MP. Les infirmiers diplômés d’état (LPN): l’expérience de l’Etat de Washington [The licensed practical nurse workforce in the United States: one state’s experience]. Cahiers de Sociologie et de Démographie Médicales 2010;50(2):179-212. Patterson DG, Baldwin LM, Olsen PM. Supports and obstacles in the medical school application process for American Indians and Alaska Natives. Journal of Healthcare for the Poor and Underserved 2009;20(2):308-29. Hollow WB, Patterson DG, Olsen PM, Baldwin LM. American Indians and Alaska Natives: How do they find their path to medical school? Academic Medicine 2006;81(10):S65–9. Patterson DG, Carline JD. Promoting minority access to health careers through health profession—public school partnerships: A review of the literature. Academic Medicine 2006;81(6):S5–10. Carline JD, Patterson DG. Characteristics of health professions schools, public school systems, and community-based organizations in successful partnerships to increase the numbers of underrepresented minority students entering health professions education. Academic Medicine 2003;78:467–82. Carline JD, Hunt DD, Patterson DG, Garcia C. Participation in enrichment programs and its effect on interview scores of applicants to the University of Washington School of Medicine. Academic Medicine 1999;74:360–2. Carline JD, Patterson DG, Davis LA, Irby DM. Precollege enrichment programs intended to increase the representation of minorities in medicine. Academic Medicine 1998;73:288–98. Carline JD, Patterson DG, Davis LA. Enrichment programs for undergraduate college students intended to increase the representation of minorities in medicine. Academic Medicine 1998;73:299–312.